An exciting evolution is underway at Yukon College (YC) as it aims to become Canada’s first university in the north; leading through outstanding place-based education, northern-focused research and scholarship; and focused on exemplary community engagement, with First Nation partners throughout Yukon. The transition, expected to take place in 2019, will create the Yukon University (YukonU), a flexible, post-secondary institution that includes a place and a pathway for every learner, including: adult basic education, skills and vocational training certificates and diplomas, plus degree and post-graduate programs. 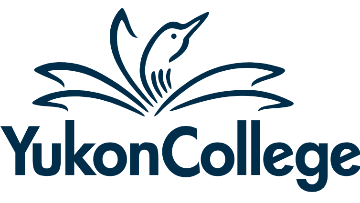 Yukon College contributes significantly to the development of a healthy and prosperous north through relevant, innovative and inclusive education and research. The College currently serves 1,200 full and part time credit students and over 4,400 non-credit students each year. The student body includes 150 full time international students. Yukon College operates 13 campuses across the Yukon, including the beautiful main campus in Whitehorse. With a $46 million operating budget, supported by 270 full time and 310 part time faculty and staff, Yukon College is a major contributor to the economic and social fabric of the Yukon. Student surveys have found extremely strong support from the student body. In 2016, 96% of student respondents were satisfied with the quality of instruction at YC, and 98% agreed that “Yukon College is a good learning environment”. Yukon College continues to lead the country in research conducted by community colleges. Yukon College is also a leader in its commitment to reconciliation and Indigenization. Nearly 30% of all students identify as First Nation, and the institution has launched the first Bachelor of Arts in Indigenous Governance in Canada entirely co-designed with Yukon First Nations. As the College embarks on its exciting transformation to a university, it is seeking to recruit a strategic thought leader with the leadership, expertise and vision to become the Vice President, University Services (VPUS). Reporting to the President, the VPUS will play a pivotal role overseeing the planning and implementation of strategies and programs related to Finance, Human Resources, Student and Infrastructure Services, Community Campuses, and revenue generation areas including Continuing Education. The VPUS will provide the vision, leadership and mentoring needed to prepare the organization as it transitions from a college to a university. For more information, please contact Alex Verdecchia at Boyden at 604-685-0261 or email yukoncvpus@boyden.com. To submit your materials for consideration please https://www.boyden.ca/canada/opportunities/vice-president-university-services-8291005/index.html?.